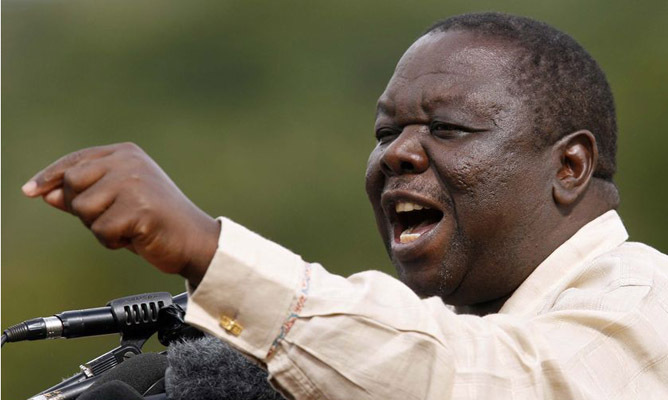 ZIMBABWE – Zimbabwe’s opposition leader, Morgan Tsvangirai, made a surprise reappearance on Twitter on Monday and was immediately mobbed by supporters and critics. Tsvangirai, 63, hadn’t tweeted since March 2014. That was several months after elections that returned longtime president Robert Mugabe to power. The Movement for Democratic Change (MDC) leader described the elections as “stolen” and a “farce” on Twitter in August 2013. After a handful of tweets he disappeared from the popular social media platform. “Great to hear from you dear leader. Twitter family missed you,” wrote @doctor283. Already weakened during his time as premier, Tsvangirai’s popularity appeared to have waned since the coalition ended on the back of damaging rumours about his private life and murmurs about his big spending. But rallies Tsvangirai holds still draw crowds wearing the party’s signature red T-shirts and caps, judging from photos of an MDC rally this weekend in Chiredzi in south-eastern Zimbabwe. The pictures were posted by Tsvangirai ally @chaltonhwende. On Monday, Tsvangirai was immediately pinned down on Twitter with questions on the performance of MDC lawmakers, youth empowerment and the party’s strategic planning – or lack of it – ahead of the next elections in 2018. He (or at least the person behind his handle) answered gamely, with just a hint of exasperation when he accused Twitter user @nyanyadzi of having a “narcissist vision”.